Line the bottom of crock pot with chicken breasts before pouring the teriyaki marinade and juice from the can of pineapple on top of them. Don't add the actual pineapple yet; that doesn't happen until the end. Add any seasonings you want; I had minced garlic and minced ginger in the fridge so I put a spoonful of each in with mine. Cook on low 3-4 hours or until the chicken is cooked through. 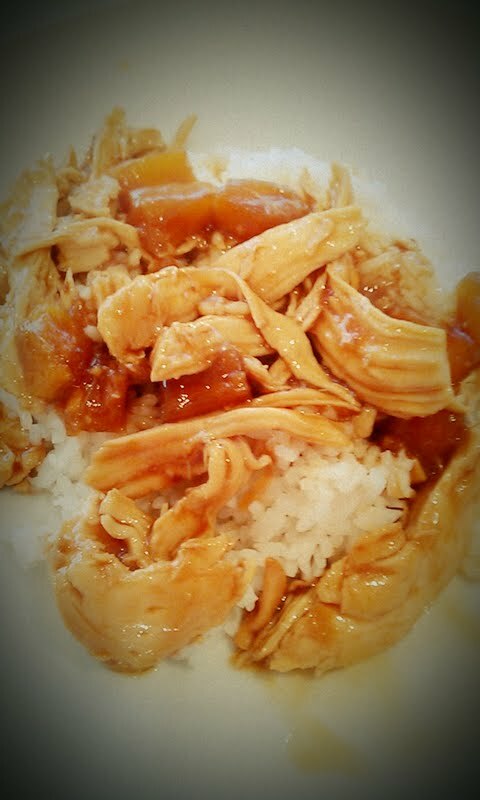 Add the pineapple chunks, shred the chicken and let it soak up the sauce before serving over rice.